An ongoing project in which I borrow language and ideas from the International Code of Signals and various military manuals to explore and communicate feelings. The project began as a response to Fort Mason in San Francisco - a now defunct military base. The site led me to explore thoughts about protection and vulnerability, and the notion of a fortress. 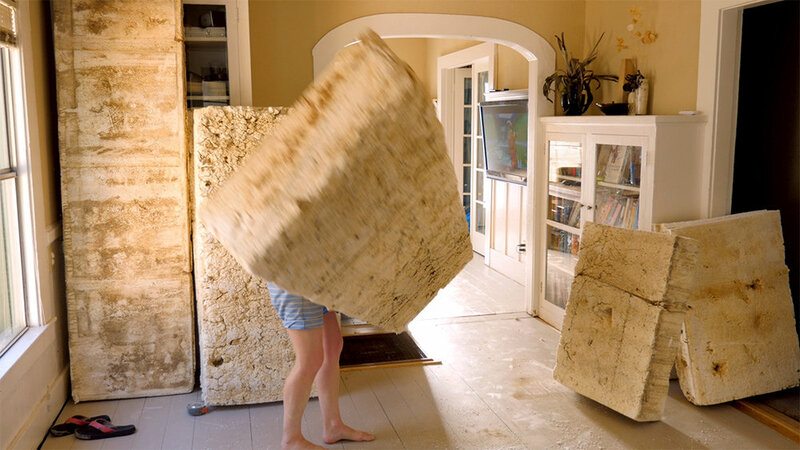 Central to this project was the building of an escape raft within my family home. The raft was then used as a signaling platform in the bay at Fort Mason. A dual channel video documents both the building and sailing of the raft. Other elements of the project include hand-sewn signal flags made from abandoned clothing that were installed along the waterfront, and a book entitled "Relationships" - a collaboration with National Monument Press in 2017. 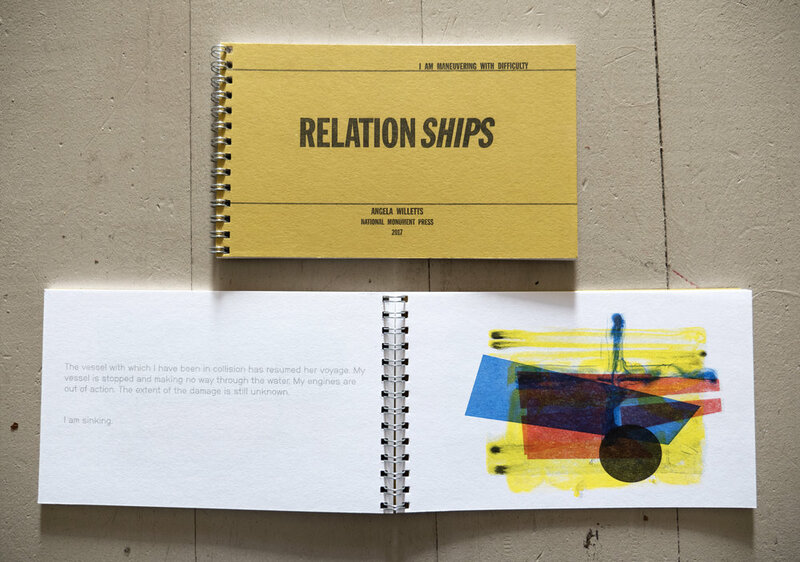 Pages from Relationships, made in collaboration with National Monument Press. This book uses the language and symbols of the International Code of Signals to speak about distress, confusion and communication within relationships. Public signs attached to lampposts overlooking the bay, to accompany hand-sewn flags. The language is taken directly from the International Code of Signals.